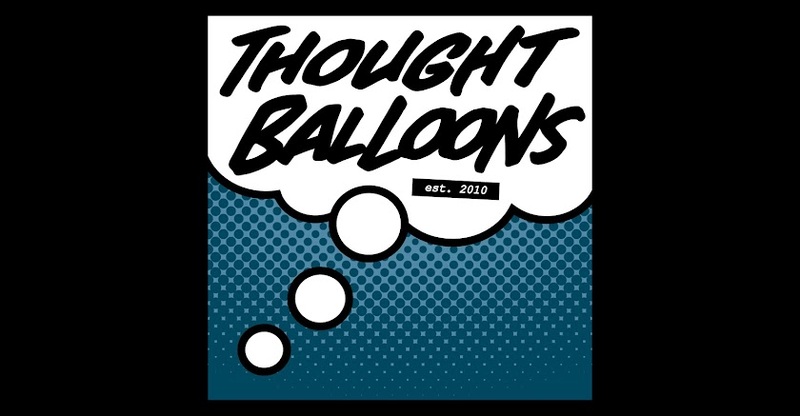 Thought Balloons - Creating Comics One Page At A Time: Why On the Edge? At some point in the past twelve months or so, I stumbled across a HuffPo article listing off some of the best photos taken with a mobile phone of the year. I scrolled through the whole thing, ooo-ing and ahh-ing when appropriate. Perhaps unsurprisingly, all of the photos had something to recommend them, but there were a handful that reached out and forced their way into my mind, continuing to bounce around for weeks, if not months. 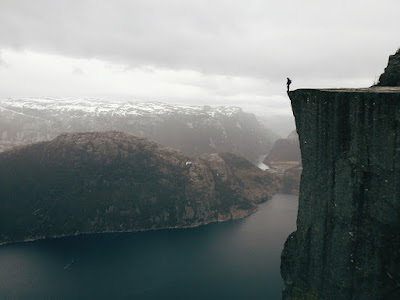 "On the Edge" by Atle Ronningen was one of those mind forcers. Looking at it, I think you'll understand why. Ronningen has a small write-up giving the details of the moment, its location, and how it was achieved, and that is all well and good (and worth a read), but it's also somewhat immaterial. What matters to me is the deceptively simple beauty the photo captures. The composition and scale of it inspires a sense of awe in me. I want to step into this snapshot, walk to the edge of that cliff, and take in the vast landscape that that figure is looking down upon. I can't help but yearn to spend more time there, to contemplate everything there is to consider, and over time, this feeling has only grown. Therefore, I figured I would do so right here, while also benefiting from the perspectives and takes of my fellow writers. Should you be reading this at home and feel something stirring within yourself, I'd be thrilled to see your take as well. Don't hesitate to add your script into the comments below - we'd love to have you and would be happy to provide some thoughts and feedback.